This awesome treat bag is another project from our Angel meeting on August 13th. It was designed by my good friend, Jennifer Edwards. She used the stamp set Wicked by Oxford Impressions and The Angel Company stamp set Bone Appetite. 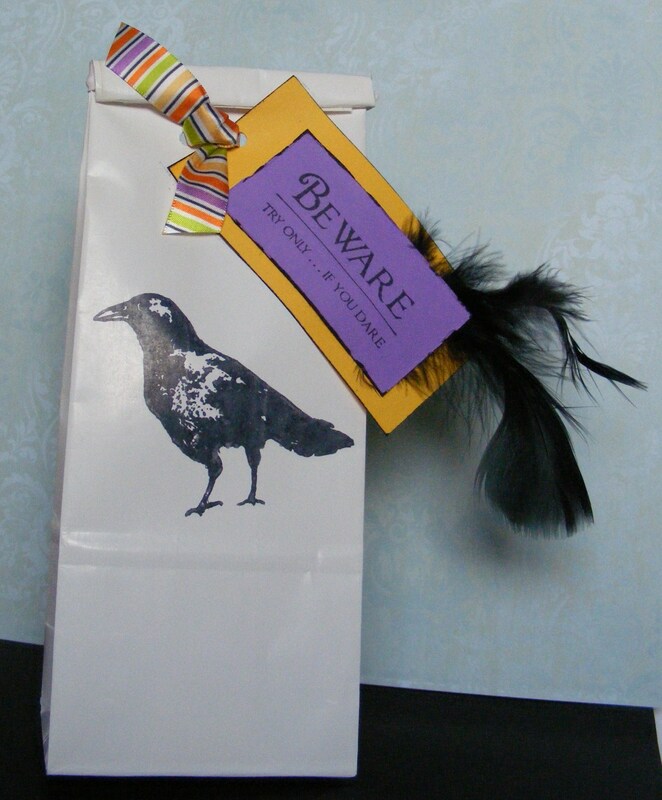 She simply stamped the raven with a black Momento ink pad on the white gift bag and created an adorable tag by adding black craft feathers. How creative!!! We all loved it. This entry was posted in Rubber Stamped Items, Treat Bags and Boxes and tagged Bag, Black, Crow, Halloween, Raven, Treat. Bookmark the permalink.